Getting engaged can bring on quite a whirlwind of emotions for any woman in love. Sweep her off her feet even more with the Swirl Style Solitaire ring in Platinum. 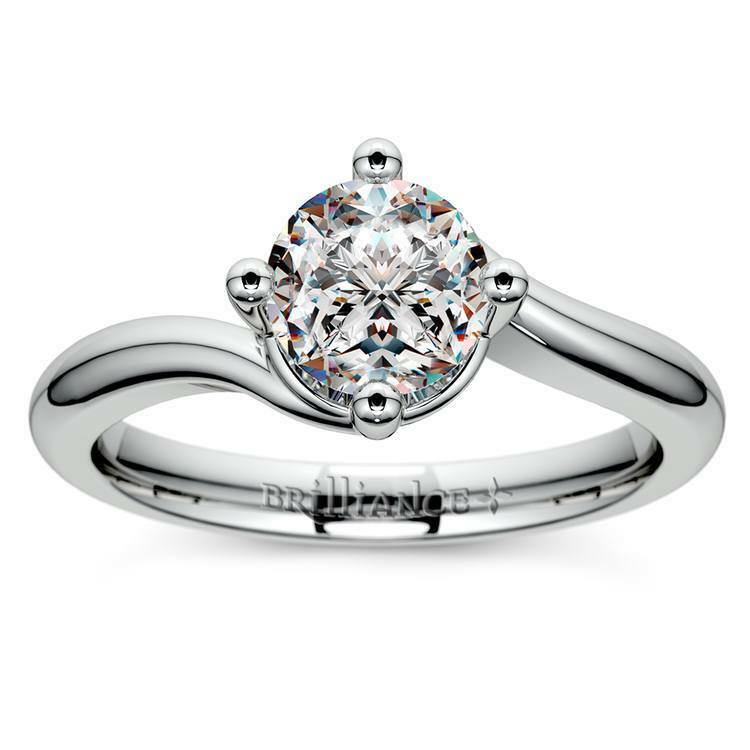 It features a one-of-a-kind curving design on solid, sturdy platinum, with your choice of a center diamond. Choose from the round, Princess, oval, emerald, pear, Asscher, marquise, radiant, heart, or cushion cuts…this unique band will ensure that maximum light enters the stone and make it as dazzling and brilliant as the day you seal your togetherness.